* Juvenile Brown Goshawk – found roadkilled beside the Pyrenees Highway on the Moolort Plains – location. * Single Brolga on lignum swamp at Cotswold. * Flock of ~ 100 Straw-necked Ibis on shallow freshwater wetland at Cotswold – location. * Boobook Owl calling not far from our back door this evening at ~ 9.30pm. * Similar story to yesterday but with fewer Black-shouldered Kites ~ 15 today. Am fairly confident that there may be four Black Falcons present at the moment! * Large numbers of raptors on the Moolort Plains with 25-30 Black-shouldered Kites along Rodborough Rd, many Australian Kestrels and Brown Falcons. Pair of Black Falcons with possibly a third bird in the same area. Swamp Harrier further west past Locks Lane. 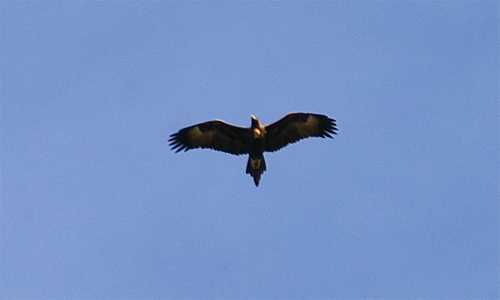 Also saw a Whistling Kite and Wedge-tailed Eagle. 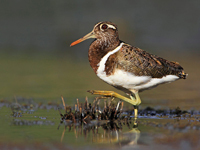 * Small party of Black-winged Stilts on Lignum Swamp at Cotswold [location]. No sign of the Brolgas. * Pair of Grey Currawongs near corner of Rilens Road and Box Track, Muckleford State Forest [location]. * Swift Parrots ~ 10 near junction of Sullivans Track and Spring Hill Track [location] – feeding on lerps including some low down in small Yellow Gums. * Flock of ~ 8 Yellow-tailed Black Cockatoos near intersection of Rodborough Rd and Clunes Rd [location] this morning at 8.30am. * Single Black Falcon seen at corner of Rodborough Rd and Clarks Lane [location]. 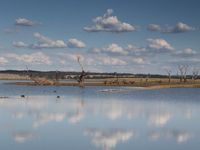 * Brolga pair still in same lignum swamp at Cotswold – now filling nicely with water so suspect will attempt to breed. * Black Falcon in paddock just west of Clarks Lane [location], later seen soaring over Rodborough Rd. * Brolga pair in same location at Cotswold. * Wedge-tailed Eagle cruising over the centre of Newstead at about 1pm today. * Little Eagle over Mia Mia Track. * Flame Robins numerous in the bush west of Mia Mia Track. Also Little Lorikeets seen flying over. * Many raptors across the Moolort Plains including two Black Falcons (one with Whistling Kite and Black Kite on Rodborough Rd, the other along Clarks Lane). 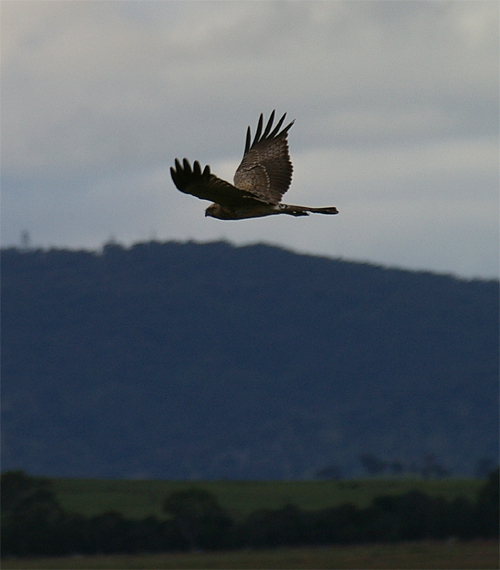 Also seen: Wedge-tailed Eagle (near Walkers Swamp), many Australian Kestrels, Brown Falcons and Black-shouldered Kites. 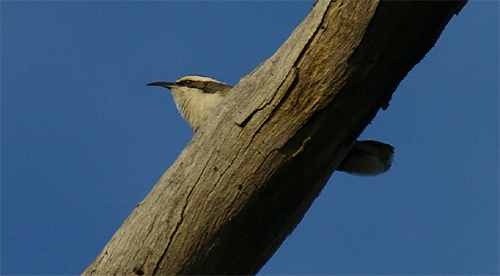 * Two seperate groups of White-browed Babblers along Mia Mia Track near ornamental Eucalypt plantation. * Pair of Brolgas at Cotswold – same pair … same place! 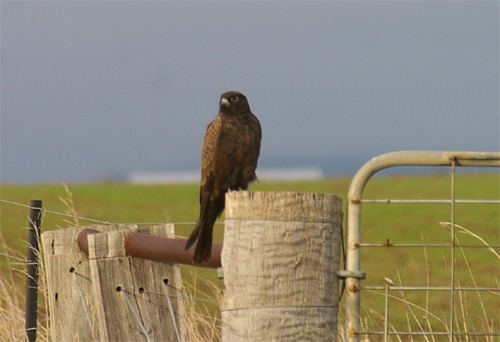 * Lone Black Falcon perched on fence post beside the road on Clarke’s Lane – location. * Wedge-tailed Eagle soaring over Cemetery Rd, Newstead. * Small groups of Swift Parrots along Spring Hill Track, near Sullivans Track (<10) and Mia Mia Track (20+) – see post. * Noisy Friarbird mobbed by smaller honeyeaters – south of Clarke Lane, Newstead [location]. * Brolgas again in same location at Cotswold feeding in lignum swamp at north end of paddock. * Pair of courting Whistling Kites harried by a single Brown Goshawk at Rodborough. Usual numbers of Brown Falcons, Black-shouldered Kites and Nankeen Kestrels. * Single Wedge-tailed Eagle cruising north over the centre of Newstead township. 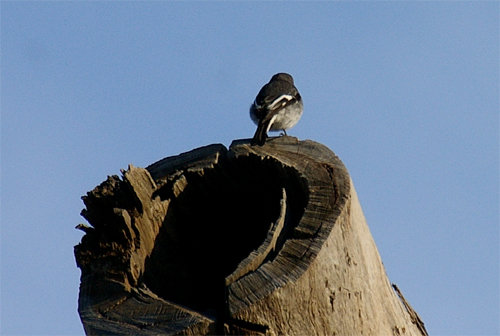 * Pair of Hooded Robins near Sullivans Track [location]. 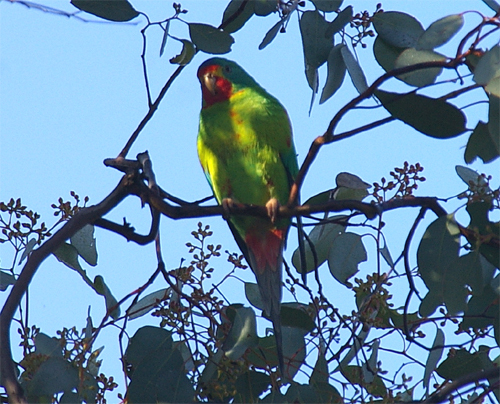 Flock of Swift Parrots nearby around Spring Hill Track – see post. * Pair of Red-capped Robins near Thornhill Reef Quartz Roasting kilns off Demo Track [location]. Also seen here were Scarlet Robin, Flame Robin, Golden Whistler, Brown Thornbill, Buff-rumped and Yellow-rumped Thornbills, White-naped Honeyeater, Yellow-faced and Yellow-tufted Honeyeaters. * Pair of Brolgas at Cotswold in same location as sighted on 15th and 21st June . 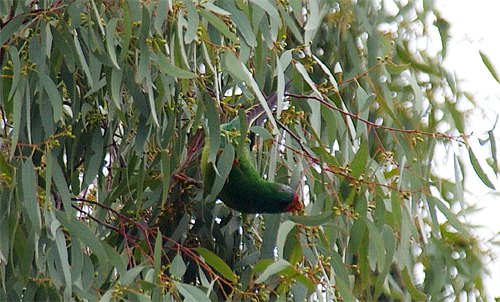 * Single adult Blue-winged Parrot at Glengower – same location as 21st of June. * Spotted Harrier and Australian Hobby just south of Walkers Swamp. 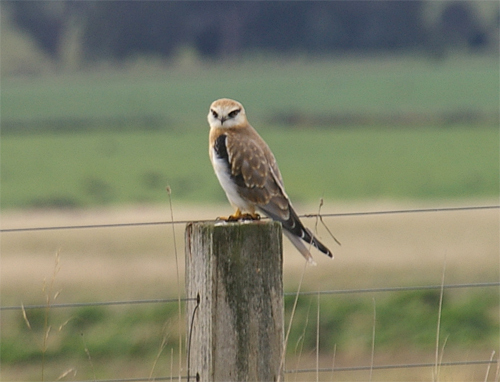 * Roadkilled Barn Owl at Joyces Creek – see post plus Brown Falcon, Nankeen Kestrel, Black-shouldered Kite and Whistling Kite between Locks Lane and Joyces Creek. * Pair of Brolgas at Cotswold in same location as reported on 15th June. * Flock of between 20 and 30 Blue-winged Parrots south west of Glengower [location] along with a number of Singing Bushlarks along fencelines and roadside. * Diamond Firetails (one carrying nesting material) on Tangeys Lane, Newstead. * Flock of ~ 10 Yellow-tailed Black Cockatoos sighted just north-west of Mt Franklin flying towards a pine plantation on the flanks. * Party of 3 Grey Currawongs at junction of Mia Mia Rd and Mia Mia Track. 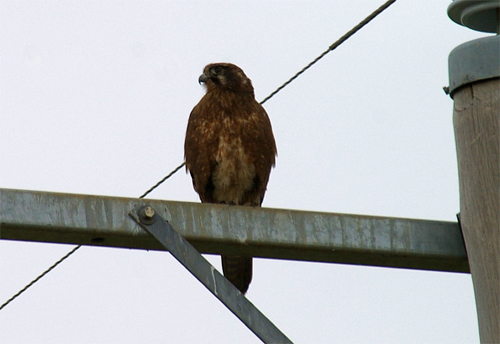 * Pair of Brown Falcons on south side of Newstead Racecourse Reserve and a single Nankeen Kestrel just west of the Loddon River bridge at Newstead. * Single Black Falcon cruising low and fast in pursuit of birds at Walkers Swamp [location] on the Moolort Plains. * Party of White-browed Babblers and flock of Black-chinned Honeyeaters at Pound Lane, Newstead. * Yellow-tailed Black Cockatoos – flock of ~ 30 over Newstead Primary School at 3pm today. Note that this same flock was reported at Strangways by the Prest family at 8.30am on the 19th June. * Single Black Falcon overhead just west of Plaistow homestead at Strathlea [location] – see post for this and details of other raptors sighted across the Moolort Plains. 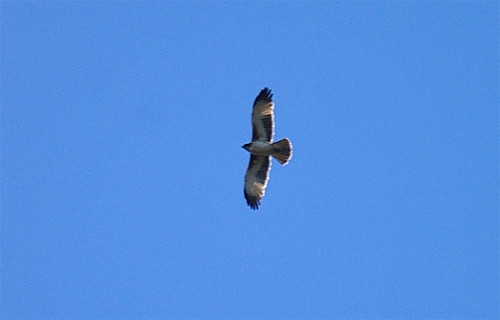 * Whistling Kite circling over the highway bridge on the Loddon River @ Newstead. * Rise and Shine Bushland Reserve – a number of small flocks of Swift Parrots ~ 25 – 30 in total. 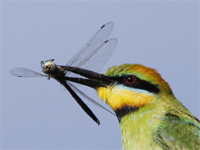 One bird (pictured) feeding on Yellow Box fruits. Also a flock of Black-chinned Honeyeaters. * Pair of Red-capped Robins near Captains Gully Rd [location]. 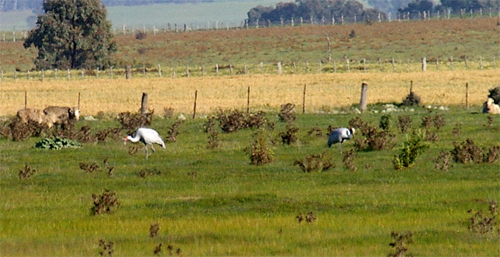 * Pair of Brolgas at the southern edge of the Moolort Plains at Cotswold [location] feeding in grazing paddock – see post. Also a small flock of Zebra Finches in roadside vegetation. 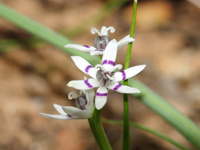 * Gough’s Range near Welshmans Reef [location] – Red-capped Robin, Scarlet Robin and many Flame Robins. Also Speckled Warbler, Buff-rumped Thornbill, Striated Thornbill, Varied Sitella and Weebills. * Female Hooded Robin on Cemetery Rd [location] along with a number of Jacky Winters providing a nice contrast. 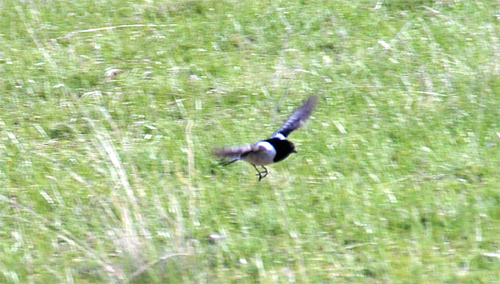 Pretty unusual to see a Hooded Robin in such open country. * Muckleford Gorge – Lots of Flame Robins, a Golden Whistler (male) and single Diamond Firetail seen this morning. * Dusky Woodswallows high over Spring Hill Track. * Spotted Quail-thrush just north of Spring Hill Track [location]. White-bellied Cuckoo-shrike, Hooded [location] and Scarlet Robins in same general area. * Pair of Wedge-tailed Eagles perched in dead Red Stringybark on Malcolm Fyffe’s property at Providence Gully – location. 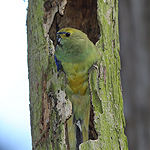 * Mia Mia Track – on a brief visit today had good views of a flock of 4 Swift Parrots in the firewood harvesting area [location]. * Loddon River at Newstead – a few Swift Parrots heard and seen in the area around “The Island”. Family of Whistling Kites with nest – see post. * Black Falcons – a pair along Rodborough Road plus lots of Black-shouldered Kites, Australian Kestrels, Brown Falcons, Whistling Kite and a pair of Black Kites. 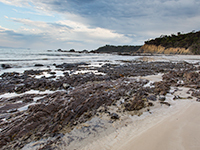 * Boundary Gully, Moolort Plains – Party of ~ 8 Australasian Grebes, Chestnut-breasted Shelducks and Black-fronted Plovers. 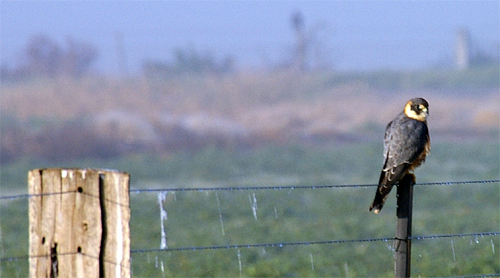 * Locks Lane, Moolort Plains – Australian Hobby plus pair of Spotted Harriers along Rodborough Rd. The usual assortment of other raptors; Brown Falcons, Black-shouldered Kites, Nankeen Kestrels and a Wedge-tailed Eagle.